This version is better than ever and the 9.10 release is compatible with the upcoming Windows 2016. The Administrator Tool's interface has been redesigned for more simplicity and efficiency. The client generator's interface has also been modified to add more clarity. The overall security has been increased to comply with the latest and highest security standards. RemoteAPP is available in all versions of Windows, including W7, W8 or W10 Home, Basic or Pro editions. 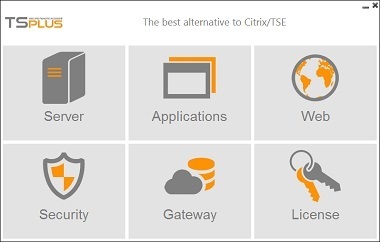 This extends the Application virtualization benefits of TSplus. With a simple Drag/Drop, the HTML5 user can transfer files from his PC to the server side. He also can copy any graphics on his PC and paste it into a Word document running inside his HTML5 session. These are nice and very unique enhancements you must have. 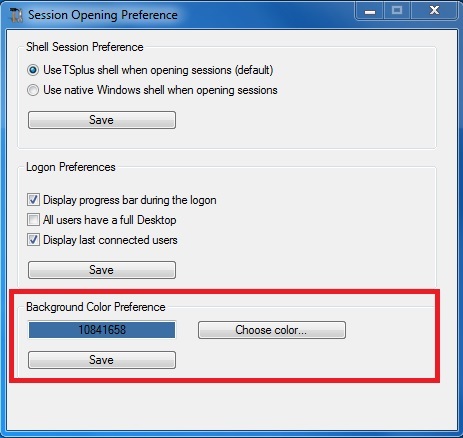 According to your preference, the background color of a RDP/HTML5 session can be configured from the AdminTool. The Users/Groups assignment has been enhanced for both applications and servers. It works fine for local users/groups as well as Active Directory users and groups. Multiple fixes and enhancements have been implemented to improve the 9.10 release and we are sure that all TSplus customers will greatly appreciate it. The RemoteAPP client is now fully supported on all Windows version even W7 Home/Pro or W10 Basic/Pro which was not available before. The Seamless client is becoming useless and has been removed from the Client generator. Translations have been made for each language to provide a better local language display and TSplus is now available in 20 different languages. When using HTML5, the printing issue after a reconnection has been fixed and the specials characters for passwords are now supported. A better support of local groups and Active Directory users have been added when assigning servers on the Gateway tab. However, this enhancement work is not completed yet. We still have to add the support of the AD groups and this is scheduled for the upcoming 2016 major release. At the beginning of February, we are expecting to launch the first 2016 major TSplus release of the 9.10 version. We wish you all the best for 2016!